The women of WestLAND Group participated in the 10th Annual Power Women Power Tools event for Habitat for Humanity (HFH), Los Angeles. 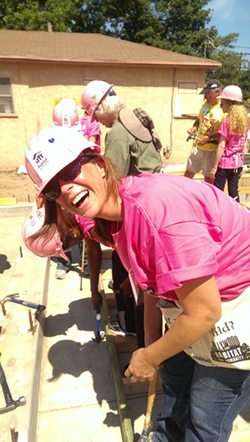 Upon arrival, participants were given pink shirts, a name tag, a refillable water bottle, sunscreen and a pink hard hat. They were greeted with a big breakfast to build up energy for the day and jazz music by a local high school set the mood. Erin Rank, President and CEO of HFH, Greater Los Angeles was the MC, a quick safety briefing was given and sound of 200 hammers hitting nails began! 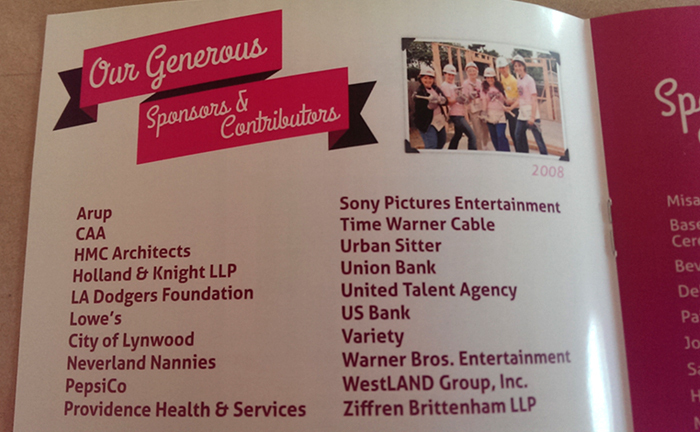 Living out our mission of dedicated teamwork, WestLAND worked side by side with over 200 women from fortune 500 companies, actresses, producers, local council members as well as the future homeowners of the Magnolia Avenue site in Lynwood.